Following a theatrical run in UK cinemas last year, documentary label Dogwoof releases one of the ultimate hip-hop documentaries, ‘Nas: Time Is Illmatic’, to Steelbook, DVD and On Demand. Directed by One9, this is the quintessential companion piece to the 1994 album that arguably changed the landscape of rap and became the benchmark for all rap artists to follow. 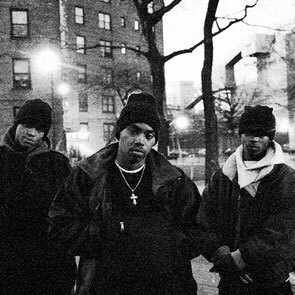 The documentary film delves deep into the making of Nas’ 1994 debut album, ‘Illmatic’, the social conditions that influenced its creation, and features interviews from Alicia Keys, Pharrell Williams, Swizz Beatz, Q-Tip and Jabari 'Jungle' Jones. You also get to listen to Front Row chat with director One9 and producer Erik Parker on the enduring legacy and influence of the album. It’s out now, check the trailer below.